This week on Dezeen, IKEA's flat-pack refugee shelter won Design of the Year 2016 and the shortlist for a new UK holocaust memorial was revealed. IKEA's temporary shelter designed for refugees was named the 2016 Beazley Design of the Year, beating the artwork for David Bowie's final album and a robotic surgeon. 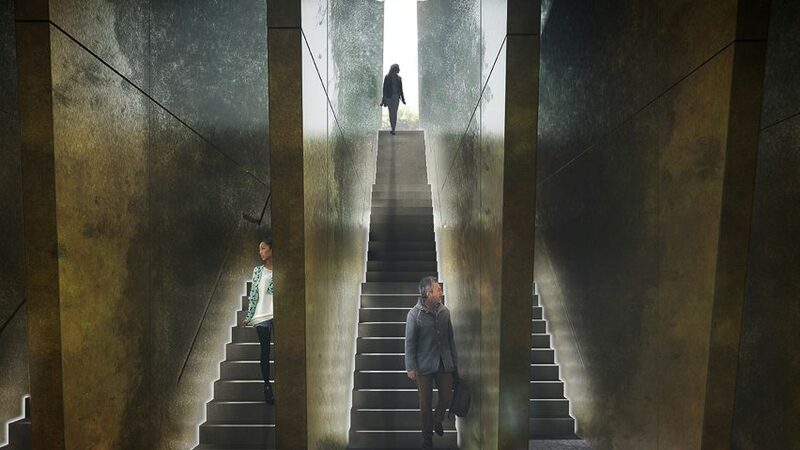 Also this week, David Adjaye, Zaha Hadid Architects, Foster + Partners and Daniel Libeskind were revealed to be among the ten shortlisted teams competing to design the UK's National Holocaust Memorial in London. As Donald Trump commenced his first week in the Oval Office, there were protests from the design community. Yves Behar, Gareth Pugh and Assemble were among industry figures who joined last weekend's women's march, and Bulgarian artist Christo cancelled a monumental Colorado installation. Speaking to Dezeen, British architect David Adjaye said he felt "embarrassed" that women still need to fight for gender equality. In architecture news, OMA revealed its completed building for the Qatar Foundation in Doha and FAAB proposed a "smog-eating" music school for Kraków. Kengo Kuma's major expansion of an urban Japanese garden in Oregon edged one step closer to completion, and a Los Angeles mansion set the record for the USA's most expensive home. A garden room containing a sunken Japanese-style bath was revealed as the winner of 2017's Don't Move, Improve! awards – a competition to find London's best new house extension. The UK government announced plans to make creative industries a pillar of its post-Brexit growth strategy, and Harvard unveiled a free online architecture course. UK Vogue editor Alexandra Shulman stepped down after 25 years, and we reported on Iris van Herpen's latest couture collection. Popular projects this week included a cedar-clad cabin in Nova Scotia, a cultural hub in remote Senegalese village and a minimal London home arranged around a plywood box.